Real estate is one of my most favorite verticals to work in. Granted, HGTV is the *only* TV channel that I watch, but I genuinely feel like it’s an exciting time to be using social media to sell real estate. I work with home builders, real estate agents, and mortgage brokers. In my area, I see very few real estate agents, home builders, and mortgage brokers using social media at all, and most of those who do aren’t executing it well. The lack of poor execution by most, coupled with the fact that lots of people L-O-V-E touring homes for sale, means it’s a fabulous time to establish and grow your brand presence on your social media platforms of choice because you will be able to stand out from the crowd. 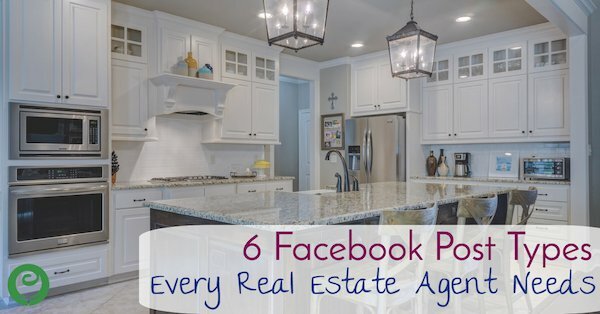 This blog post is going to highlight 6 specific types of Facebook posts that I use for my real estate and home builder clients to help them sell homes they have for sale. The Basic Link Post To start with, let’s talk about the most straight-forward way to post about a home you have listed for sale. Copy and paste a link to your listing into a new Facebook post. Make sure the featured photo for your listing is the best photo of the bunch, as the image that shows up for the link preview cannot be changed on Facebook. The Mass Photo Post Upload most if not all of your home listing’s photos to a new Facebook post, type up some text to go along with the listing and photos, and also include the link to your listing in that same text area. Different than a carousel post (see below), this Facebook post type is geared towards people who like to thumb through house pictures on their phones. The Carousel Photo Post – Depending on how your real estate website is setup, you may see that Facebook is pulling in 3 or 4 potential images for your house listing once you’ve pasted your link into a new post. If they are all photos that showcase the home well, use them all. To add more photos, click on the grey box with the + sign that shows next to the photo thumbnails. Once published, a Facebook user will be shown the first photo and part of the second, signaling to them to swipe left to see more photos. The Slideshow Post – This is personally my favorite because it’s created 100% from still photos but it is treated by Facebook as a video (both for ads and as far as organic Facebook reach is concerned). Also cool: you can add background music to your slideshow post. You can include 3-10 images when making a Facebook slideshow post, so choose strategically. To start creating a Facebook slideshow post to highlight one of your property listings, check out my step-by-step post detailing how to create a slideshow Facebook post of your own. The Video post – Facebook prefers video files directly uploaded to its platform (vs sharing a link to a video that resides on a different site like YouTube). If you are too nervous to try a Facebook Live video, pre-record a video using your phone and upload that to a Facebook post. You can even schedule its premiere. Speak directly to your home buyers and sellers in your videos, talking about your services, what makes you different, and answering their frequently asked real estate questions. Facebook Live – To maximize your Reach on your Facebook posts, go Live from either your Profile or your Page. In the complex Facebook algorithm, Facebook Live videos are a favored type of post. 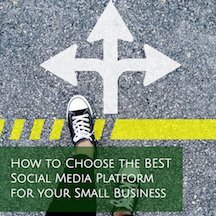 What should you go Live about? How about taking people on a walking tour of your new listing! No matter what type of Facebook post you are using to market your listings, make sure that the text that accompanies the post includes the most attractive features of the property. Also, make sure you are checking your Page and Post Insights! Typically, people who click on a link in your Facebook post to view your real estate listing are not going to come back to that post and click the post ‘like’ button afterwards. So a post that has 4 or 5 post ‘likes’ might also have 40 or 50 (or dozens more) clicks on the listing link. Ultimately, you want people to visit those listing on your website, so don’t judge the success of a Facebook post on the number of ‘likes’. Have some questions about your real estate challenges? Please contact us or give us a call at (901) 496-3902!